On a past project, we installed an AquaPruf 7400 Series sanitary conveyor at California-based Hollandia Produce. Its mission: move discarded lettuce to a bin for disposal. Sounds easy enough right? In reality, this is a very demanding environment for any conveyor, much less one that’s specifically designed to work in these conditions. That’s because of the tremendous amount of debris collected on the conveyor from the discarded leaves. 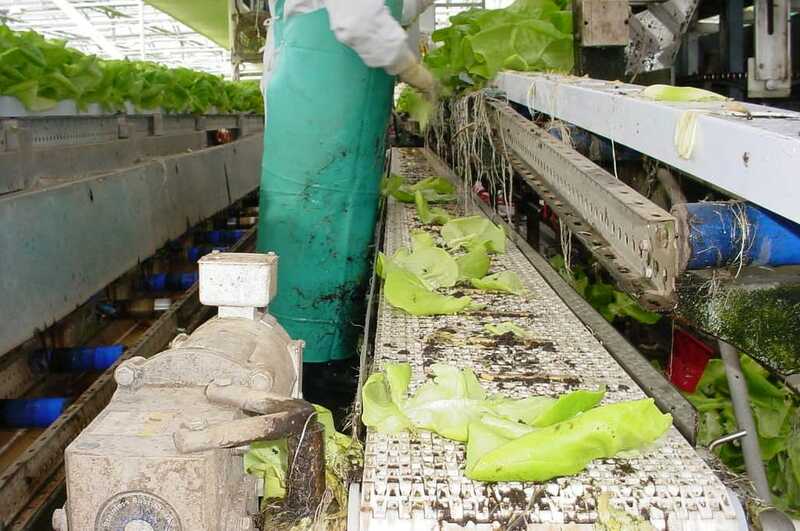 Of course the amount of debris from one leaf is minimal, but since the company produces several hundred thousand pounds of lettuce each year, that amount does add up quickly on the conveyor. So the conveyor system needs to be durable for continuous use, yet designed for daily wash downs. Hollandia uses an 18-inch wide, 15-foot long cleated 7400 Series conveyor that?s positioned at a 45-degree angle. Discarded lettuce falls onto a conveyor, which moves it onto the cleated 7400 Series conveyor. 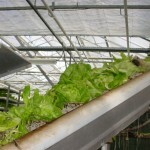 Lettuce is then transported up an incline where it is dumped into a trash bin. The conveyor operates between eight and nine hours a day, seven days a week, and is washed at least once daily. The 7400 Series is ideal for Hollandia and other food applications because of its sanitary design. It’s built with a durable, stainless steel frame with no flat surfaces to eliminate collection points of loose food scraps. Continuous TIG welding of the 304 stainless steel frame provides strength and eliminates fasteners in the food zone, which provides a more sanitary environment. Bearings are 400 series stainless steel and filled with H1 FDA lubricant, making them one of the highest quality bearings for stainless steel sanitary conveyors. What are your biggest challenges in maintaining your sanitary conveyors? We’d love to hear from you. Click here to download a PDF case study on this application.